Steve Freeman and Nat Pryce describe the processes they use, the design principles they strive to achieve, and some of the tools that help them get the job done. Through an extended worked example, you’ll learn how TDD works at multiple levels, using tests to drive the features and the object-oriented structure of the code, and using Mock Objects to discover and then describe relationships between objects. 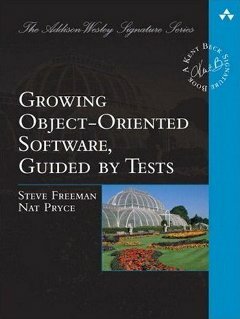 Along the way, the book systematically addresses challenges that development teams encounter with TDD—from integrating TDD into your processes to testing your most difficult features.